This guide is for players with average tanking experience. The average tank can handle most bosses, but on elite bosses such as Mordris and Efnisien you will find yourself losing aggro and dying often. The aim of this guide is to give you an insight into how to go from being an average tank to becoming an expert tank. You will learn how to stay alive and handle situations where there are limited druids without using a single idol. Quick reminder: What is a tank? A TANK is a style of play that is usually specific to the Warrior class. Tanks redirect all enemy attacks or attention toward themselves in order to protect other players. Since this role often requires them to suffer large amounts of damage, they rely on large amounts of vitality/HP, armor, defense, evasiveness, misdirection, self-regeneration and damage mitigation. Tanking allows other players to safely and efficiently attack the target for long periods of time without interruption. The first step in becoming an elite tank is to understand that you have more responsibilities than you think. If you don’t assume leadership of the raid group and give your players direction, you are not a true tank. Of course you need to be a good leader and understand all 5 classes first, be able to strategize and get your party out of sticky situations, or even better prevent them from happening in the first place. You need to earn your respect. Of course the main role of tanks is to protect all other players from damage by directing it all to themselves - AT ALL TIMES - if you lose aggro ONCE, you have failed. 1) NEVER DYING – do whatever you have to do to stay alive even if it means spamming potions or using Super Combo Elixirs beforehand. If you die, you have failed. However keep in mind if you are using potions, something is wrong. You should NEVER need to use a single potion. When you reach that stage you have mastered this role. 2) Keeping your HP stable and above 50% – If your HP is fluctuating too much or drops too low you run the risk of suddenly dying while druids are waiting for cool downs of their skills or the boss casts a powerful skill. If your HP never falls below 50% you are another step closer to becoming a real tank. 3) Pointing the boss away from druids and other players especially if the boss uses AOE (Area Of Effect) skills. It is your job to figure out the range of the AOE skills. For instance, if boss AOE skills only target players facing the boss (i.e. in frontal arc region of the boss), the boss should be turned such that it is facing the tank, while DPS players stand opposite the boss and no one stands behind the tank, except druids at maximum distance possible to cast their skills (see diagram below). Sometimes you may prefer to position the druids opposite the boss with the DPS players. Experiment with any new boss to learn its skills. Unfortunately, most new bosses released by OTM, use AOE skills that target every single player within a set radius around the boss, making boss positioning pointless. In any case, druids should always be standing at maximum possible distance from the boss. 4) Making sure druids are NEVER attacked by keeping an eye on their HP bars and frequently scanning your surroundings. If you see any nearby enemies or threats, immediately inform other players to eliminate the threat. This is the most common reason an average tank will die or have unstable HP. Keep rotating your screen and scan your environment. 5) Concentrating on the boss skill messages in the chat bar at all times. Some bosses have special skills that require certain actions, it is your job to see these and respond to them. E.g. Heals that need interrupting, high damage cloaks/thorns, AOEs which can only be avoided by running etc. You may also want to pay attention to very-high-damage-skills cast, to make sure your HP bar is full before it, and cast certain skills on time. Inexperienced tanks lose concentration and die often as a result of this. Understanding what gear to use is the second step. A variety of gear options are available but for elite bosses you must focus on maximizing your HP pool while maintaining high defence, armor and resistances. Tanks should have all their stat points invested in Vitality (VIT). Vitality increases HP by 6.25 per point in Vitality and boosts potency of Tank VIT based skills e.g. Protective Stance. Some warriors believe that investing small amounts of Dexterity (DEX) or using a DEX/VIT build to boost defence is a better tank build. While boosting defence is useful, spending your stat points on DEX is not wise. If you want to boost your defence, you are better off using defence-boosting gear to boost it, rather than investing your main stats points on DEX. The reason behind is that most gear that boost defence, give you a higher DEX-equivalent value of defence than the VIT-equivalent of the alternative HP boosting gear. For example, a godly bracer of deflection gives you 500 defence. The equivalent godly vital bracer gives you 800 HP instead. To get 500 defence using DEX, you will need to invest 250 DEX points. However to get 800 HP you only need to invest approximately 128 VIT. So if you had 250 stat points available and you wanted to boost your defence by 500 with either brace available to you, it would be wiser to use the defence brace then invest your 250 points into VIT giving you a total of 500 Defence and 1560 HP. If you chose to invest 250 DEX instead to get the 500 defence and equipped the HP brace, you will only gain a total of 500 Defence, 800 HP and 250 attack. Since attack isn’t useful to a tank you have basically lost 760 HP by wasting stat points on DEX. Of course, if you don’t have defence boosting gear available, you may consider putting some points into DEX if you are confident you have more than enough HP to safely tank the boss. But remember, by sacrificing VIT points, not only are you losing HP, your tank skills also become weaker as they are all VIT-based (except Shield bash). The reason HP is more important than armor is simply because the amount of damage reduced by increasing armor after high values (e.g. 1500-2000) becomes very insignificant. The relationship between damage reduction and increasing armor reaches a plateau (flattens out). Elemental Resistances (Heat/Cold/Magic/Poison) are important for bosses with powerful elemental skills. Most raid bosses have high and fast auto attacks making their skill damage insignificant. If the boss uses high damage elemental skills, boosting your resistance for that element may be more important. Use your judgement. Evasion is least important because it is very unreliable. you need extremely high evasions to notice a difference and often bosses deal more damage with auto attacks. Boost it where possible, but don't prioritize it. As a general rule, the more HP you have, the safer the fight will be, as you have an extra HP buffer to save you if something goes wrong. The more defence you have the higher your dodge rate and thus the lower your damage intake. Both attributes are very important for tanks but high HP must be prioritised. As bosses get stronger, you will need to boost your HP further to avoid dying fast. Once you have enough HP (10-15k), try to boost your defence as high as possible. Try to avoid sacrificing too much HP to boost your defence and vice versa. If your HP is too low and you are relying purely on Defence the fight becomes risky. While you may reduce damage intake by increasing dodge rate, should your HP drop for whatever reason, you are relying on probability to keep you alive. A number of things can go wrong here. You may get unlucky and get hit by the next few auto attacks causing you to die or the boss may decide to cast a skill and kill you. In these situations, having a bit more HP would have kept you alive for a bit longer, guaranteeing you extra time to get healed. No matter what happens you have that guaranteed extra chunk of HP. Either way, try to neutralise high damage skills with Shield wall so that your HP stays stable. The importance of Defence also varies depending on what type of boss you are killing. It is extremely useful if the boss has high damage auto attacks (which is usually the case) but you need to have a reasonably high defence to see a difference. It is less useful if the boss casts many skills and/or has weak auto attacks. 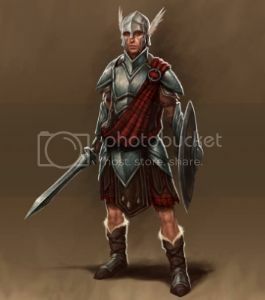 Unlike armor, the relationship between increasing defence and dodge rate does not seem to plateau, so there is no reason to stop adding defence where possible. Keep in mind you will need over 3k defence to feel the difference on some bosses (even higher as bosses get stronger). If you notice a lack of dodges/blocks/parries and your HP is dropping fast, try boosting your defence significantly, and always ask a druid to use howling wind to reduce the boss’ attack. Start by equipping your main quest gear - this should be Dragonlord armor. Quest gear is usually best against bosses – as most bosses are Chaos entities – this means that a good proportion of their auto damage and skills is Chaos damage and can only be resisted by Chaos resistance - which is only found on Quest gear. Furthermore quest gear provides set bonuses which boost HP, Energy and Chaos resistance. Do not use any items that will break your set bonus unless they are incredibly powerful. Maximising Chaos resistance is crucial against these bosses as it means a reduction in all types of damage. With a full DL set and all points invested into VIT, you will have roughly 7700 HP, 1500 defence and 1800 armor already with Protective stance and Defensive formation. Now you only need another 2300 HP and 1500 defence as an acceptable minimum target. Try to achieve this with the least amount of equipment possible. The only thing better than DL helm is a Mordris helm. Only use helms that boost VIT/HP and/or DEX/DEFENCE. There are other Mordris helms that can be used, but the ones listed offer the best overall bonuses. You will lose some attributes if you use a Mordris helm, but the added bonuses make up for these. The listed helms can boost anything from 1000-2700 HP and/or 600-1000 Defence with extra evasion boosts. You have two choices here, DL shield or Shield of the bastion. The DL shield is superior because it adds a bit more armor and resistances but mostly because of the added Chaos resistance. Shield of the bastion however has an 80 VIT boost. I personally choose the DL shield because most if not all damage dealt by chaos bosses has a chaos component which is reduced by chaos resistance. Unfortunately a DL sword has little use for tanking (unless you want to maximise damage with the Proc + Haste - but DPS isn't your job). Agg VIT tridents can be used purely for the VIT boost. The new necromancer swords have nice 5% procs, especially Necral Shield but the Halberds from Mordris with the 100-200 VIT or DEX boosts are best for a permanent stat boost. Go for a VIT halberd if you can but a DEX halberd is still good. If you need energy regeneration go for the Stargem Necklace – has great stats and nice regen. However for the best stat boosts choose Garanak’s Ironroot necklace and find a way to regenerate energy e.g. Energisation elixirs or energy boost/sacrifice. The difference between the two necks (if used with Ironroot set) is 80 armor, 600 physical attack evasion and 200 defence, vs. 60 HP/40 energy regen and a 15 second +300 armor skill. Garanak’s Ironroot charm is the best here followed by the Chitin charm. The Godly Chitin charm will give you the biggest HP boost if you don’t need defence and allow you to max your protective stance and shield wall. In addition, you get extra skill points that you can use if you need any additional skills. Godly charm of the Icegiant may be useful for Necromancer if you want to reduce his skill damage further as it has a nice +500 cold resistance. When you get to rings assess what attribute you still need to boost. The best ring setup is 1x Garanak’s blade leaf ring, 1x Garanak’s Ironroot ring, 1x Godly necral ring of reaping and 1x Spectral ring of the Hunstman. The Godly VIT/DEX necromancer rings are difficult to get so you can use any Garanak ring with HP/Defence OR Icecrystal band of the noble for the added resistances and vit. If you don’t have Garanak items try use Radiant ES rings and Sunfire HP rings. Spectral ring of the Huntsman is crucial for the 15% boost if your defence is high (over 2000). Mix and match to boost whatever attribute you are still lacking (Note: Skill rings are not very useful - Tanks don't usually need spare points, most tank skills are already at 45 and boosting skills to 50 doesn't make a significant difference - there are much better options for ring slots). Step three is choosing the right skills but more importantly timing and using your skills appropriately. NOTE: ALL Skills listed below are boosted by VIT (except shield bash) and Melee Combat ability (Not as much). This means that the higher your vitality and melee combat the more powerful these skills are. PROTECTIVE STANCE - (MAX Level recommended) Boosts your overall armor value which reduces physical damage taken (Pierce, Crush and Slash damage) – the higher the better. The amount of armor boosted by protective stance depends on the amount of VITALITY you have. TAUNT – (MAX Level recommended) this is the main boss redirection skill for tanks – it increases aggressiveness/aggression (aggro.) of the target towards you, making the target more likely to attack you over other players. The higher level your taunt is, the more aggro you build and the better control you will have on the target. Cast this skill non-stop during fights. SHIELD WALL – (MAX Level recommended) This is the only damage mitigation skill for tanks and is very important. It blocks a certain amount of damage for 5 seconds. On very tough bosses the shield will break in less than 5 seconds but is still extremely useful. If the boss is extremely tough and will break the shield fairly quickly, cast this skill as soon as it becomes available. If the boss has weak auto, but powerful skill attacks, save this skill until it casts its powerful skill(s) and use it to block those, to prevent your HP from dropping too fast and too low. Because it is instant cast, you will be able to block any skill if you cast it while the boss is casting its skill. If the boss uses any HP-absorbing skill like Lifesteal, make sure you block it with shield wall. The more damage you block the less the boss will heal. SHIELD BASH – (Minimum Level needed to STUN the target e.g. Lvl 37 for 190 bosses) – This skill allows you to completely stun the target for 5 seconds – again it is extremely useful. It can be used to interrupt certain skills such as heals, or simply block damage for 5 seconds which gives your druids enough time to heal you back to full. If the boss has no interruptible skills, use it as soon as it becomes available. If the boss uses a high damage skill infrequently, use it RIGHT AFTER the skill, to give you 5 seconds to regain full health (as it will drop your HP too low). Shield bash also boosts aggro towards you but not as much as Taunt, thus you can use to regain aggro if you somehow lost it. Unfortunately tough bosses have very high evasion and usually evade this. NOTE: NEVER use shield wall right after shield bash or vice versa as you will just waste them; unless you need to interrupt something and already used shield wall (or shield bash got evaded). DEFENSIVE FORMATION – (Use remaining skill points on this) – Boosts your Defense value which helps you evade auto attacks “Parry” “Miss”. You may choose to max this and drop a few points on taunt or protective stance if you need to boost your defence further. However tough bosses have extremely high attack, and so the small added defence from a few extra points in this skill will not significantly boost your auto attack dodge rates. For that reason, maxing it is not crucial (don't forget if you are over 190, you almost have enough skill points to max this anyway). This skill is cast on all group members and may be useful for warriors in ADD groups (Killing enemies surrounding bosses). Keep this active during the fight. ENDURING GUARD – (for specific bosses ONLY if spare points available) – Boosts your Physical Attack Evasion which is your ability to evade skills that deal direct physical damage e.g. Giant swing. It can boost your evasion by over 2000 which is equivalent to having 4000 points in Fortitude ability. However most bosses cast only one skill of this type and many cast none. More importantly, you need extremely high evasion values to evade boss skills. The only bosses that cast more than one skill of this type include Stonelord, Dominator, Rockbelly and Hrungnir. Keep this active during the fight if used. BANDAGE WOUNDS – (Rarely used during tanking) – the most you will be able to heal with this skill is about 800-1000 with maxed First aid ability (unless you have a Godly BW Bracelet from Mordris). The cool down of the skill is about 30 seconds and it cannot be used in combat. Thus making it almost useless while tanking. However, there are simple skill combos that allows you to cast it in combat. If you use shield wall or shield bash then quickly follow it with bandage wounds you will be able to cast the skill uninterrupted during combat. Also if you are range tanking and don’t have enough sigils this skill may help you heal a little faster. For elite bosses it is not recommended. Step four is being able to assess whether you can tank the enemy the “normal” way or not. If you can’t you may want to consider other types of tanking. The average tank will be clueless in a situation like this and end up using a lot of idols. Normal tanking is the most common type which involves tanking the boss in melee range at all times while being healed by druids. Range tanking is the alternative type of tanking which involves standing away from the boss and keeping all aggro on you while its movement is impaired so that it cannot melee you. The main reason to use this type of tanking is if you cannot find enough druids in time, or if the boss uses very powerful melee skills that you would prefer to avoid. This type of tanking benefits greatly from having SIGILS particularly HEALTH sigils especially if no druids are available and the boss has some ranged skills. Kiting – this involves using Bolas and pulling the boss around in circles while frequently running in and casting taunt to keep the boss directed at you. REQUIRES A LOT OF SPACE. Ping Pong – this is similar to kiting and is used when there is no space around the boss to pull it around. 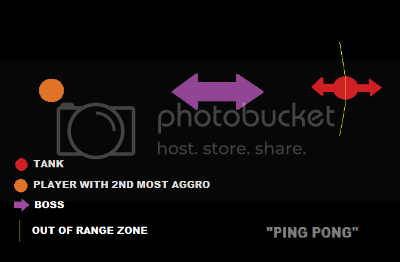 2 players are required to control aggro. The main tank keeps max aggro on themself by constantly taunting it. The tank slowly pulls the boss away until they reach out of range zone. The tank walks out, causing the boss to no longer target the tank and thus start walking back towards whoever has the 2nd most aggro. 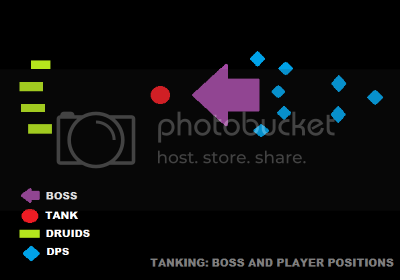 Ideally the person with the 2nd most aggro is positioned at the opposite end of the tank and boss zone. When the boss reaches the 2nd player, the tank walks back into the boss zone and the boss instantly redirects back to the tank. Thus the boss is being Ping- Ponged in a tight space without attacking anyone. It is possible to ping pong a boss with only two players and no bolas. To do this both players must be able to survive the boss attacks for long enough to allow the other player to heal with sigils. Obviously the tougher the boss the more Health sigils you would require to do this smoothly. Make sure you don’t pull the boss towards other players, especially when it’s about to use an AOE skill. Keep the screen facing in front of you and where you are about to walk to avoid walking into other enemies or players. If you are using Shield Wall – Save it for any ranged skills the boss uses to try negate all damage. If your using sigils – keep in mind you need about 5 seconds away from combat to regenerate with your sigils each time. Make sure you do not cast self-buffs while you are still in combat stance otherwise you will keep yourself in combat and will not regenerate with sigils. Always wait to be healed after being hit with a ranged skill, before casting any skills or running in and attacking. Build a mental map of the boss zone while range tanking and avoid running out of range. You should experiment with the boss beforehand to figure out its zone. Try to walk it around in circles near the border to maximize space. Use objects on the map such as rocks and trees as references to help you remember the out of range zone. If the boss moves around in a certain path the best way to avoid walking out of range would be to pull it along its path. Even ranged skills cast by bosses can sometimes be avoided while range tanking allowing you to avoid all damage for the whole fight. This is not easy and depends on the casting distance of the skill, its frequency and how fast it is cast. This was made more difficult by changes to the cast time and casting distance of Taunt which made it longer cast and shorter distance, but it is still possible. For example: Chained King will never cast Life drain skill if he is bolased/rooted and you keep a long enough distance from the boss at all times. However, to maintain aggro you will need to run in and use taunt from time to time which puts you within range for Life Drain. You can do this and still avoid life drain by waiting for Chained king to cast a self-buff or another skill, quickly run in, use taunt and run out before he finishes casting. Another way to avoid these skills is by running in and quickly using shield bash followed by taunt then running out. Both methods require you to be very quick. These methods work on other bosses as well. Hopefully this guide helps, appreciate all feedback. Last edited by Immortalius on Mon Jan 05, 2015 10:44 am, edited 17 times in total. Pretty good guide. I would reccomend it for those who wanna be an elite tank. Nice. Here are my first impression, the guide is well-composed and structured. I was particularly fond of the way in which you split the different sections and you threw in a picture or two here and there to make it look presentable. The current information is well and truely up to date. Very impressed with the mental map theory and which may I add that it can apply to anyone who gets the aggro. I found that this would probably gives a more complex insight and perspective towards tanking. Don't think many endgame druids use aura, and yes I think that does happen. Nice guide Immortalius! Can this be stickied? All i have to say is WOW! This is an amazing guide in my eyes, although i am not a warrior as my main. I really like how u bolder the topics and included pictures which kept it from being boring. Also, the way you wrote this guide made me want to keep reading it to see what other info i needed to know. ADMIN OR FORUM MODS plz sticky this guide! So if you had radiant rings and 15% defense ring you wouldn't use? Why have so much hp for getting hit when you hardly ever need to get hit? Unbuffed, 11-12k is quite enough, if not 10k. Then I would suggest getting some defense in there and always learn to time your skills. I max defensive formation instead and put spare points in shield wall. Shield wall at 2000-2500 is enough for most skills that higher bosses use. "Only those who play win. Only those who risk win. History favors risk-takers. Forgets the timid. Everything else is commentary." Yumius wrote: So if you had radiant rings and 15% defense ring you wouldn't use? Why have so much hp for getting hit when you hardly ever need to get hit? Unbuffed, 11-12k is quite enough, if not 10k. Then I would suggest getting some defense in there and always learn to time your skills. I max defensive formation instead and put spare points in shield wall. 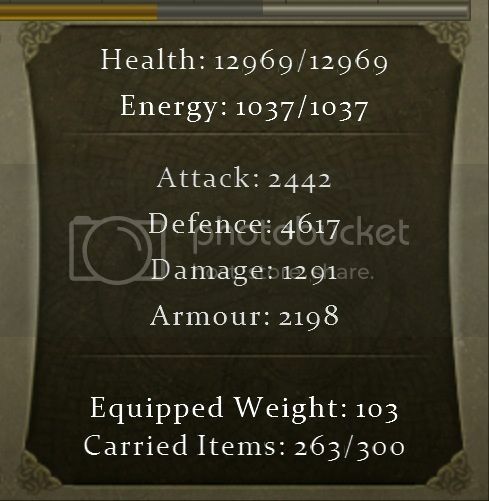 Shield wall at <a href="tel:2000-2500">2000-2500</a> is enough for most skills that higher bosses use. Thanks for your feedback. High defence is great for weaker bosses and 5* enemies, but you dont need a guide to tank the average boss. For bosses like Mordris and Necro different builds are required. Even with 3k+ defence you wont notice much difference because they have high attack. Now imagine you put 4 defence rings instead of 4 HP ones, your sacrifcing up to 1-2k hp and other stats for a small chance at dodging an auto or two. Thats what ive noticed from experience, after tryin a high defence build against Mordris. I noticed the more HP I could get, the more stable the tanking was and the smoother the fight because your HP never drops too low, and if for whatever reason a druid didnt heal immediately, you got some backup HP to keep you alive. Relying on defence can be risky. You may get hit enough times in a row to kill you because its all probability. Now i didnt say defence is useless, but it is not more important than HP for these bosses. The gear setup i listed has gear that boosts some defence but without sacrificing HP. Thats the key. If you get a chance, try a high defence build on Mordris Vs a High Hp build and let me know what happens. Would be good to hear from other tanks that have killed these bosses on what build they prefer. Also regarding shield wall, big bosses auto over 1k every 1-2seconds. Even 50/50 shield wall is not enough. But you are right, for most other bosses a lower skill level is sufficient. Hey, first off, great guide! You basically covered everything so congratulations! Immortalius wrote: Finally, tough bosses hit incredibly high, sacrificing your total HP pool to boost defence slightly will make it more difficult for druids to keep you alive as your HP will decrease much quicker and you may die before your druids get a chance to re-cast their skills. How does having less hp make you lose more hp? I can honestly say I have less hp and yet take much less damage. Druids have a larger window of time to cast their heals and buffs because they can count on me to not take any damage at all. The rate at which I lose health is far lower than any tank I've seen who does not do what I do. It's no secret that I use defense/dex, I've been promoting it... So please answer my question; thanks.